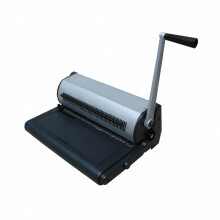 The Tamerica TCC-SP41 spiral coil binding machine features adjustable punching. A pair of channel sizes for coil inserting flexibility. Durable solid metal construction. Perfect for mid-volume coil binding. 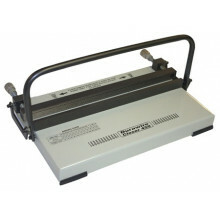 - Single Punch Length: 13.5"
Tamerica 240EPB electric punch comb binding machine offers a simple foot operated punch ability. 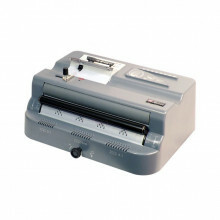 Includes fully disengageable dies allow punching of smaller documents without making partial holes. 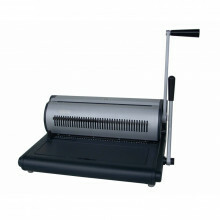 Tamerica Durawire Closer 450 is a wire binding closing heavy-duty all metal wire closing machine. 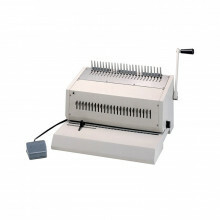 Machine closes wire for up to legal size documents and more due to open ends. Also closes up to 1-1/4" diameter wire loops and compatible with all standard wire punching formats, 3:1 & 2:1 pitch. 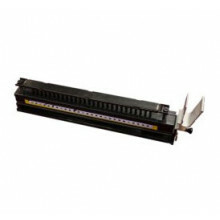 Akiles CombMac-24E electric punch plastic comb binding machine features disengageable die pins for punching different sized papers. Foot operated punching makes the binding process easier. 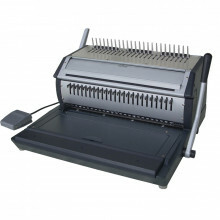 Tamerica Versabind-E binding machine offers an easy to use, all-in-one binding machine capable of binding combs, 3:1 and 2:1 Wire-O wire spines, and 4:1 coils. 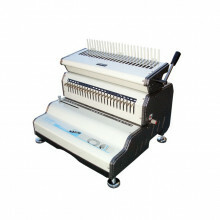 - Single Punch / Binding Length: 14"
The Tamerica TW manual wire punch and binding machine comes in a 3:1 or 2:1 pitch. Capable of punching and closing legal sized twin loop wires. Open ended for punching documents larger than 14". 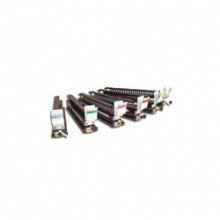 - Closing Capacity (Wire): Up to 1-1/4"
Tamerica 240HB is a manually operated modular plastic comb binder small enough to stack on top of a puncher or beside one to complete the punching and binding process. 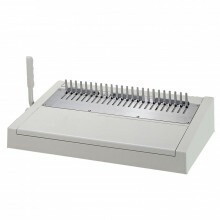 Great for printers, in plant print shops, binderies, and high volume users of plastic comb binding.